Recent release “Bird” from Page Publishing author S.I. Goldman is both enlightening and perplex; this work explores the ideas of personal identity and finding one’s self. S.I. 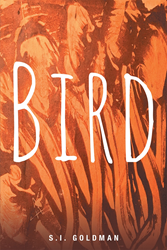 Goldman, a teacher, and eccentric writer and author, has completed his new book “Bird”: a satirically crafted work that portrays the irony and uncertainty of life. Published by New York City-based Page Publishing, S.I. Goldman’s profound book follows the main character as he grudgingly confronts his life and acquires the courage to finally leave his past. Burned-out high school teacher, Skeebow doesn’t know what is causing his mysterious captivity into his past. He is no longer in control of his life and he seems to be missing most of his senses. He can only hear and see what is happening around him. It is as though he’s watching a dream while wide awake. The only certainty of his existence comes from his self-awareness. He is able to think, therefore, he concludes that he must still be alive. He hopes his mind-trip will end soon, but instead, he finds himself going further back into his past. His cerebral journey starts with one of his many dreary days at work. Eventually, he watches his college graduation, his marriage to his second wife, a couple of his school days and, most regrettably, the day his father died. As he retreats further back into time, he meets many people along the way that have had an impact on his life, including his crazy mother. While the existential, Skeebow watches his former self struggle with everyone and everything around him, he wishes he could somehow alter his past to make his life different. Unfortunately, he doesn’t have the ability to change it. He is only able to watch while criticizing himself and everyone around him. Ultimately, he finds what he has been searching for—the meaning of life. Within his memories is the essence of his existence, but Skeebow wants nothing more than to forget about his life so his memories can fade into nothingness. Readers who wish to experience this gripping work can purchase “Bird” at bookstores everywhere, or online at the Apple iTunes store, Amazon, Google Play or Barnes and Noble.